It was a warm afternoon in May. The warmth coaxed out all of the smells in the empty old house at 293 East 600 North, in Provo. Sunlit puffs of dust rose from the carpet as we set our moving cartons down on the living room floor. Initially, I had wanted to take up the carpet and refinish the hardwood floor underneath. Then I remembered that the baby would be here soon and possibly crawling by the winter months. The floor would be too cold for little knees. Besides, the landlord probably wouldn't allow it -- this was the house he grew up in, and when we signed the contract he made it clear he only wanted renters that would maintain his boyhood home with care. Radical changes were out of the question and I knew that I would have to live with some of the quirks of the old house. I was hoping, however, that he would allow one small change, which I was sure anyone in their right mind would allow. There were, by my count, seventy-three built-in shelves in the house, from the living room, through the kitchen, and into the two bedrooms; shelves were everywhere. I didn't mind them, except for those in the bedroom. Our bed would not fit comfortably in the room because the shelves cover the walls from floor to ceiling and wall to wall. Everywhere we tried to position the bed it met with a shelf -- it was impossible to avoid them. Surely our landlord would be reasonable enough to allow us to tear out some of the shelves in order to make room for a bed. My inquiry met with disappointment; the shelves were part of the house and they were to stay -- end of discussion. We would slip past the shelves to get to the bed. Not only did the shelves take up room, but every day they stared at me, empty and cold, which drove me crazy. I realized that my small collection of books only managed to fill two of the shelves, leaving the others hollow and bare. How could I fill them with the few things I had? The house seemed lifeless and empty. My newlywed decorating dilemma was quickly dismissed as the baby came and life was swept away into a sea of new emotions, smells and sensations. Visitors streamed through our home to see our little blessing. One visitor in particular, Carma de Jong Anderson, was thrilled with our baby, but equally thrilled with our home. After the baby went to sleep and we had slipped out of the nursery into the living room, Carma exclaimed, "Do you know whose home you are living in?" The question was obviously rhetorical because she allowed no opportunity for me to answer. "Anna Boss Hart's," she said, "a great lady. She taught at BY High just up the street, as well as at BYU. She was the most influential teacher in my life. She died just a few years ago … she was a great woman." Those were the first words I heard of Anna Boss Hart. She came to live with me the day we were introduced. My mind was constantly on her as I went about my daily tasks. 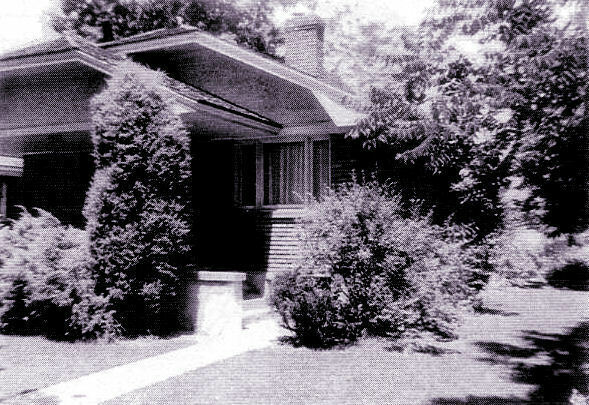 This was once a great woman's home and I was a poor replacement for a great woman, no matter how hard I tried. This feeling of obligation was new to me. I had once lived in Flaubert's summer home in Normandy, but I scarcely thought of this great writer. I didn't care much about trying to fill the void left in his home when he died, and he didn't seem to care whether I tried or not. Flaubert's influence didn't reach me like Sister Anna Boss Hart's. But, then again, he hadn't left seventy-three shelves to fill like Anna had. Anna had something important to tell me. I know because I felt her gaze upon me everywhere I turned. She stood by me as I bathed my baby. She watched me dig in her flower beds. She knelt by my side as I scrubbed her floors on my hands and knees, and I felt her critical eye upon me as I replaced the wallpaper in her bathroom. But mostly, she observed me when I dusted all those shelves. At first, I wanted to ask her why she was so crazy to build so many shelves in such a small house. My questions soon took a different form, as I felt her quiet influence. I began to ask about the treasures she may have kept on those shelves, though I knew full well that her treasures were books. Which books, though? Did she have a favorite spot where the sun shone in, where she would sit and read them? Did she have a favorite book? Were they organized alphabetically? Or in the order of love? 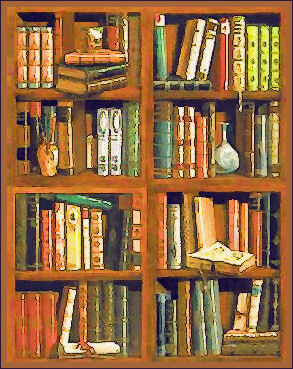 Were there ever any books on those shelves she detested, but couldn't bear to part with, just because they were books? My curiosity eventually focused upon my own small collection of books. I hadn't read many of them. Though I had neglected them, they sat patiently waiting for my attention. They seemed willing to wait a lifetime for me. Luckily, they didn't have to because something, maybe a quiet nudge from Anna, coaxed me to pick up one and not just dust it, but open it up and start reading. That day I rediscovered a childhood sweetheart of sorts. Memories of many hours spent lost in a world of books came flooding back to me. I had once escaped with my friends -- my books -- to a hiding place where all of the painful loneliness of childhood could not reach me. It was as though Anna knew what a tragic loss it would be if I abandoned those long-lost friends forever. She reminded me through her sweet inspiration, of all the joys, love, passion, and laughter found in literature. Reading became alive for me again. My shelves, Anna's shelves, are starting to be filled with good books. I would estimate that my books have quadrupled in number, yet they still cannot fill the shelf capacity of Anna's house. 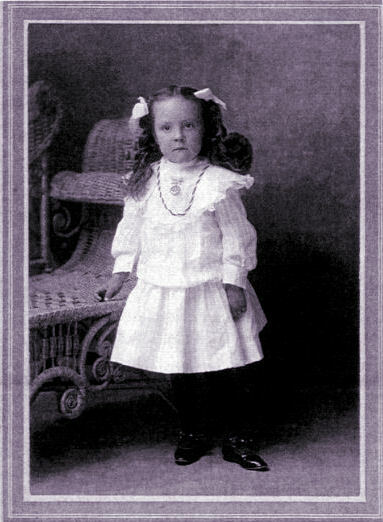 Anna Boss Hart taught at Brigham Young High and Brigham Young University for over a quarter of a century. Little though she was (5'4" and 135 pounds), she pioneered many of the programs here today. She influenced the lives of many students by teaching them the joy of reading and writing. She added her one bit of light to the 'Y' through her committed service to her students. But she did something she couldn't have predicted when she built those bookshelves in her house. She inspired one more young mind to blossom and grow even after she was gone. I am studying English literature at BYU right now, so the books are pouring in almost on a daily basis. Anna comes to visit from time to time, but not to see me. I get the feeling that she sees her work with me as completed. She launched me in a direction which has already brought much joy to my home. Now she comes to visit someone else here. You see, I have a two-year-old daughter who can barely reach the shelves in her own bedroom, where we keep her small collection of books. Sometimes I think Anna gives her a boost up while she strains to reach her books and whatever other heights she aspires to. My latest concern is, when we move away, will we find a house with shelves enough to hold all of our books? Mary L. Bingham Lee's essay, Anna's Bookshelves, won first place in the BYU Student-Alumni Association's "Lighting the Y" Essay Contest in October 1991. Mary Bingham Lee left Anna's house and traveled to many places (including Connecticut, France, and Arizona) only to find herself back in Provo, Utah where she currently lives with her husband and five children. She has earned a Masters Degree in Creative Writing at Brigham Young University where she became an instructor of English. She continues to write both creative nonfiction and fiction.